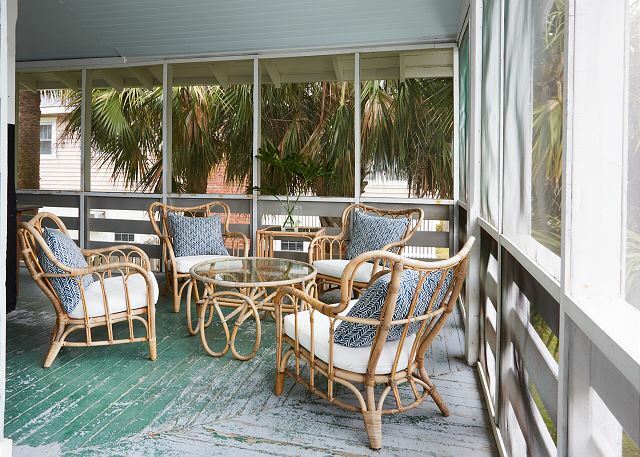 15 18th Terrace, Tybee Island, GA, 31328 Situated on the beach side of Butler Avenue, Sandpiper Cottage is steps from the ocean, popular restaurants, and area attractions. The cottage has been lovingly restored with many of its original details. The stylishly updated kitchen and bathroom provide all of today’s modern amenities without compromising the historic character of the home. 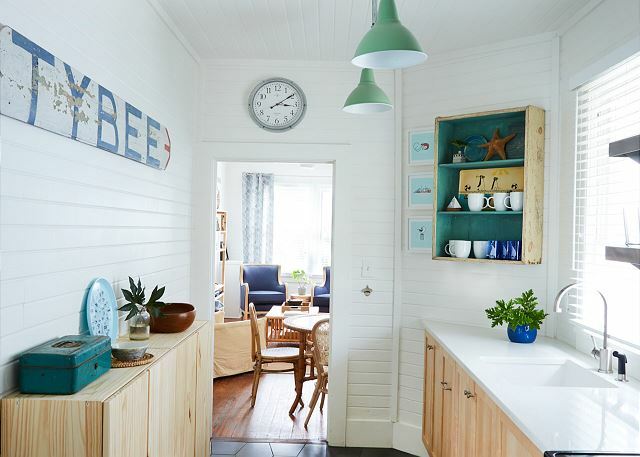 This beautiful beach cottage is owned by noted designer and stylist Elizabeth Demos along with her sister Mary. 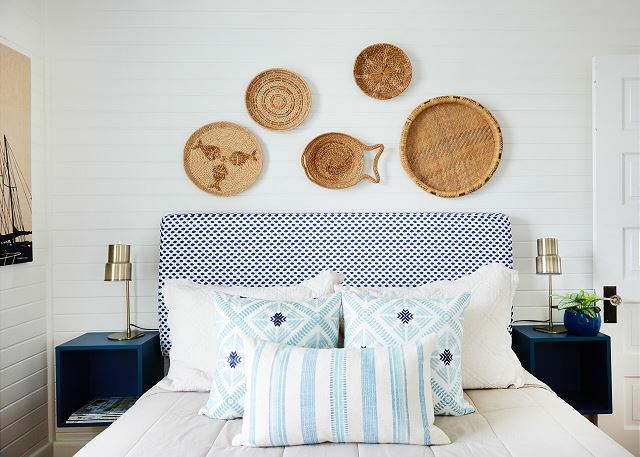 They both grew up near the beach and had always dreamed of owning a getaway near the ocean. 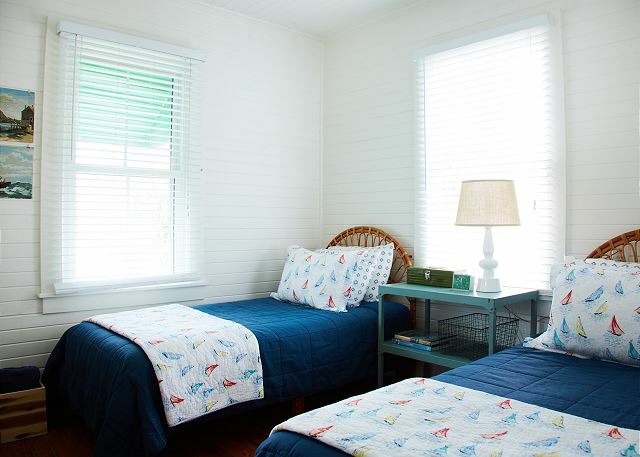 Elizabeth and Mary hope you enjoy their beachside escape during your visit to Tybee Island. We were delighted with our experience at Sandpiper Cottage. House was very clean and a good South Island location. Private setting ideal for a couple or small family. 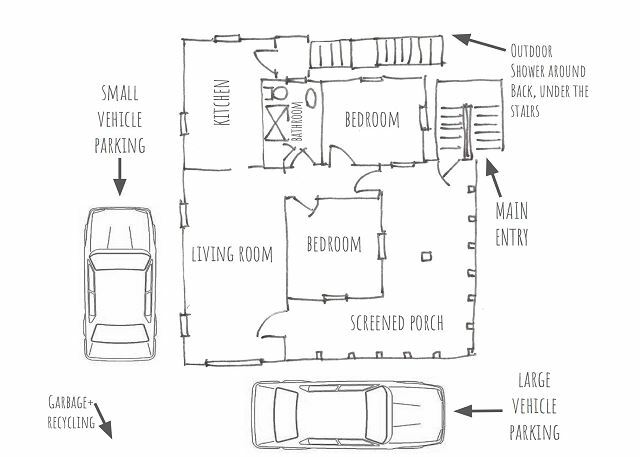 Parking was the only thing I would ding this house on it is off street parking but I couldn’t imagine trying to park a full size truck or suv. The mermaids were great to deal with and we will use them on our next trip. So glad you enjoyed your stay at Sandpiper! It really is a great beach house. I agree parking can sometimes be a challenge but we usually have enjoy space at this one. Hope to see you back soon enjoying more Tybee time, Diane and the Mermaids! My wife and I spent four nights at the sandpiper cottage in August. When we arrived the cottage was super clean and everything was ready for us to settle in. We enjoyed the super convenient location and the nice screen porch. We had a great time and will be back. Only minor complaints was spotty cell coverage from the house and a very slow drain in the bathroom sink. This was our fourth rental from Mermaid and as always everything was great and the staff made us feel very supported. We had a very enjoyable stay at a Mermaid Cottage. Beach access was close and enjoyed by family. Unit was clean and well equipped. 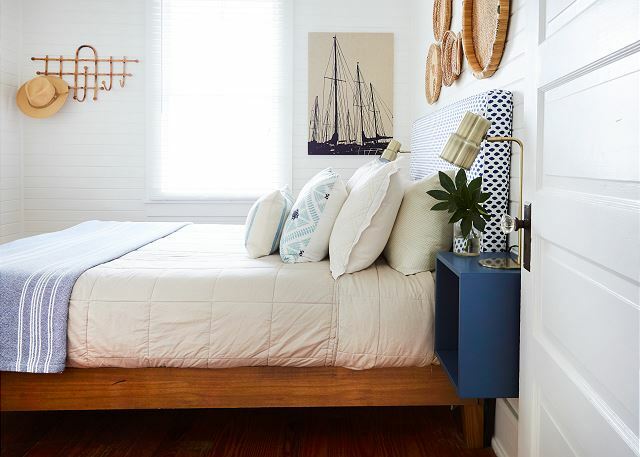 We stayed five nights at the Sandpiper Cottage and loved every minute of it! The setup was perfect for our family of 4, and the pictures really don't do the cottage justice. The Mermaids were amazing in terms of preparing us for our visit and communicating throughout. I am looking forward to finding reasons to come back. We enjoyed our stay at Sandpiper Cottage. The Cottage was super clean and well stocked and decorated. There was relaxation music playing and a light on for our arrival! We used the outdoor shower after our trips to the ocean and enjoyed the screened porch to read in the afternoons. We ate at the Breakfast Club, Gerald’s Pig and Shrimp, CoCo’s Sunset Grill, Fannie’s on the Beach and the Crab Shack. Loved the location. Had wonderful weather and a great time. It just didn’t last long enough! We loved our stay at sandpiper cottage. It was such a cute cottage and had everything we needed. Location was great...close to beach and downtown! 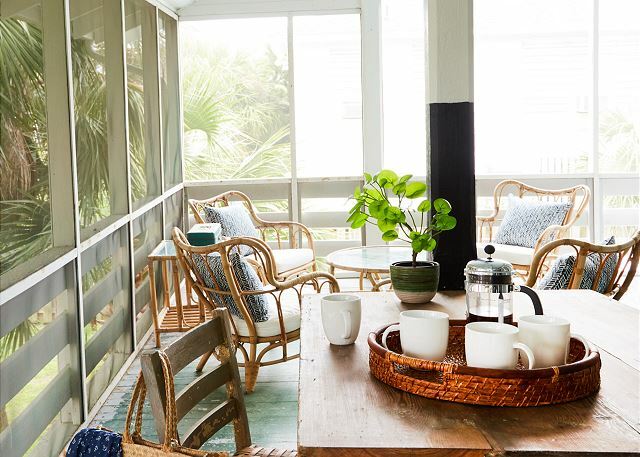 We enjoyed starting our day with our morning bliss coffee on the porch listening to the ocean! Can’t say enough good about our stay here. We were sad to leave but can’t wait to come back! Thank y’all for your hospitality. Sandpiper Cottage was a wonderful setting for our getaway. 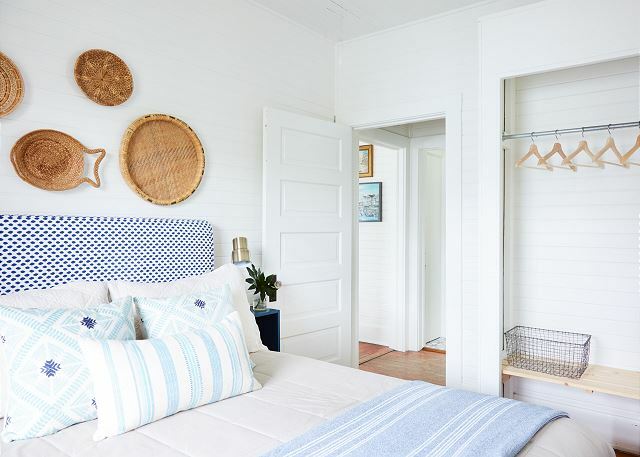 This cottage is so cozy -- perfect for two. Loved the design and all of the attention to detail! And the ocean was just a short walk away. We kayaked to Little Tybee Island, rode bikes on the beach, climbed to the top of the Tybee Light, and enjoyed some great restaurants, especially North Beach Grill and Tybee Island Fish Camp. It was truly an idyllic week! I love this charming cottage! It is truly a perfect getaway. Met and exceeded all expectations. 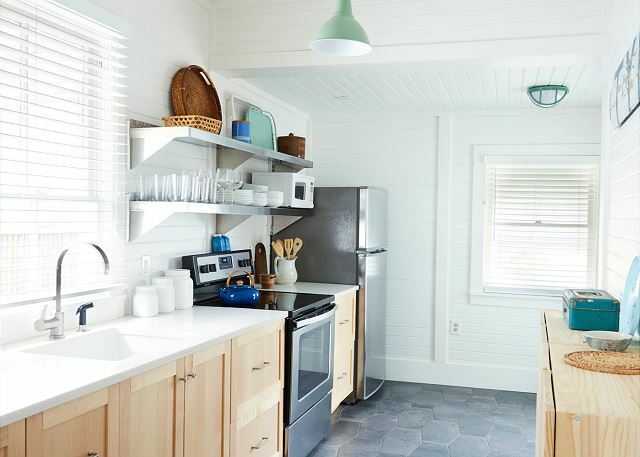 Wonderful 2 bedroom 1 bath cottage, modern yet vintage at the same time, about 1 block from the beach. Paper and cleaning products are all sustainable "green". Walking distance to pier, downtown restaurants and shops, yet still quiet at night. This home was beautifully decorated, clean and comfortable. 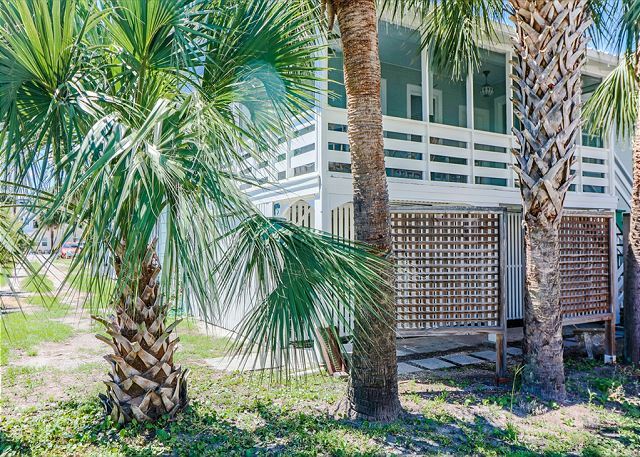 Steps from the beach on a quiet end of Tybee Island. Highly recommend. We will be back! Sandpiper Cottage was adorable and a great fit for our family of 4. We've stayed in Mermaid cottages several times and they never disappoint. The garage was a bonus - perfect for storing our bikes and beach gear. This was our first time staying on the southern end of the island. We loved the sand bar and tidal pools. 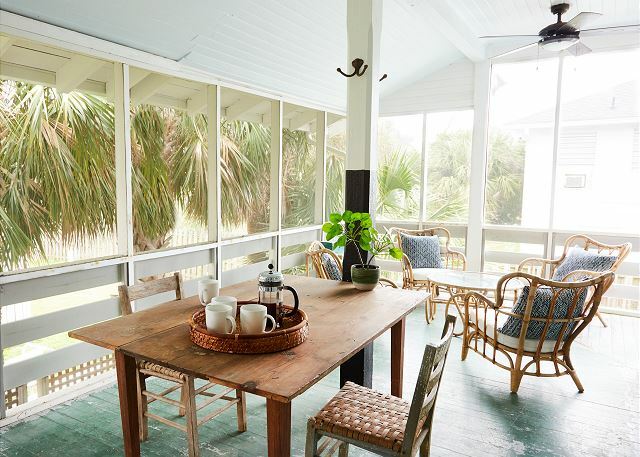 Beautiful cottage so close to beach, shops, and restaurants. We didn't want to leave! Adorable & just as described! 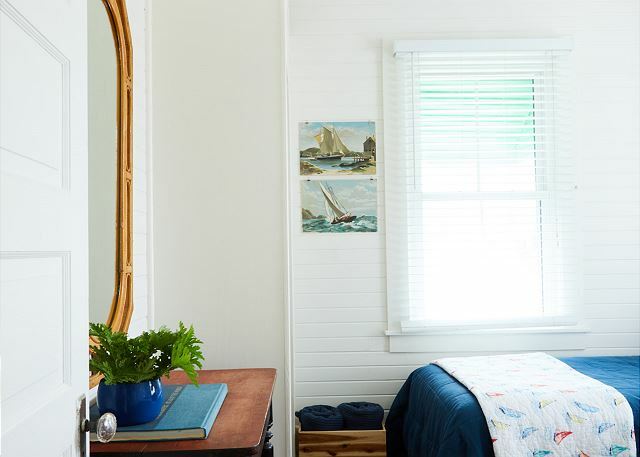 We absolutely loved the Sandpiper Cottage! 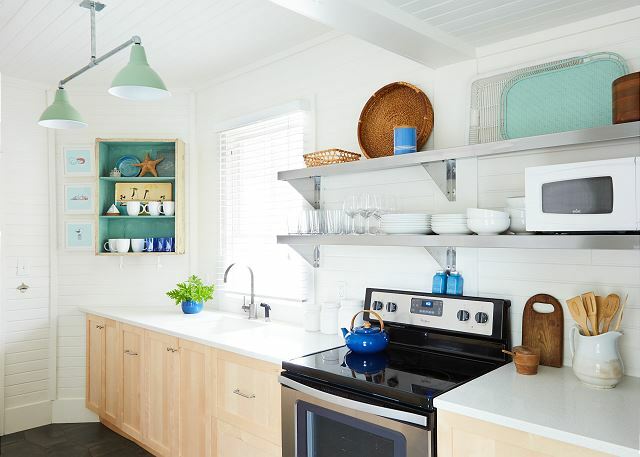 It was quaint with its vintage decor, and beachy in a classic, sophisticated sort of way (hot pink, turquoise and sunshine yellow can just be a little overwhelming sometimes, even at the beach!). My husband and I spent the weekend with my parents and our two babies, and the house felt plenty spacious, especially with the screened in porch. 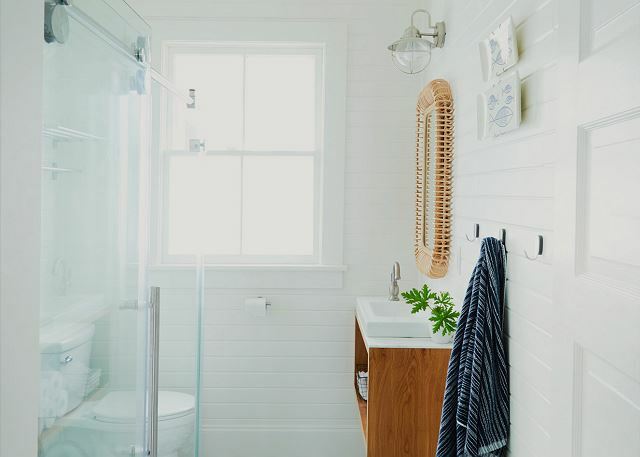 The house was very clean and thoughtfully designed, with plenty of hooks and hanging space to keep us organized, which is a must with two little ones! The walk to the beach was very short, from the door to the sand, it maybe took 3 minutes, and that's with stopping to pick up dropped toys. The outdoor shower in the backyard was wonderful for rinsing off sandy feet and toys, but that area had a fair number of mosquitoes, so we didn't spend much time out in the yard. Overall, I couldn't have been happier with the cottage. I would certainly recommend it to a friend, and if we visit Tybee again soon, I hope there's an availability! It was an overall pleasure. 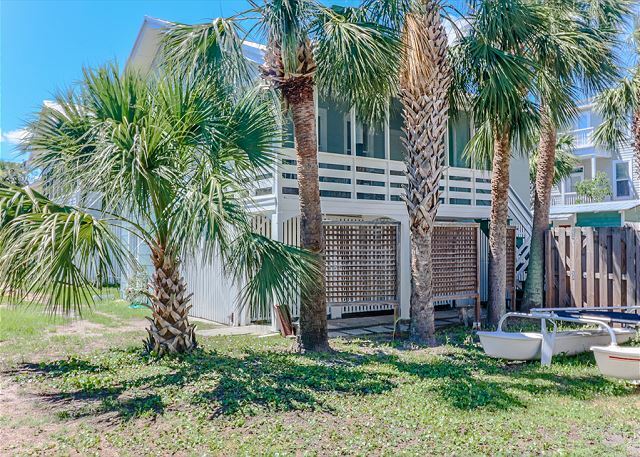 The location was close to the beach, the downtown and restaurants, and the cottage was darling with every detail addressed. Our cottage was perfect! Beautiful, comfortable and in a great location! Will definitely be returning! Perfect for our family of four. 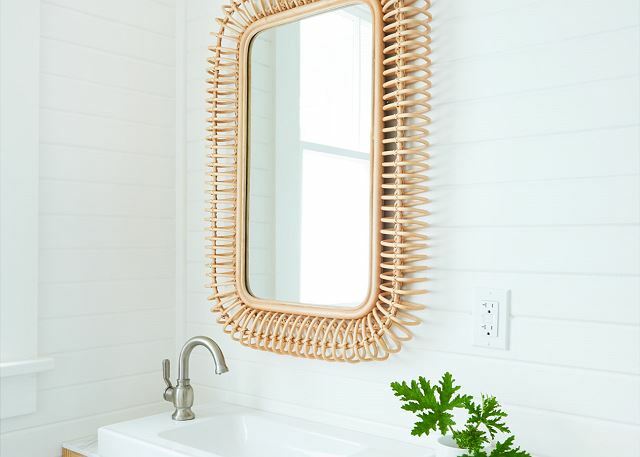 Very clean with many thoughtful touches that give the house a warm and cozy feeling. We really enjoyed the screened porch and the short distance to the retail stores, restaurants, and ocean. The housekeeper was very attentive to providing a comfortable experience. Key pick up was easy and worked well with our schedule. The cottage was excellent. The Cottage was cute, very well decorated and comfortable. Perfect for my wife and I. Easy walk to beach. Great screened in porch. A/C was very strong and ceiling fans were great. Beds were comfortable and the kitchen and everything in it was brand new and fantastic! Great location with lots to do on the island and easy to get into Savannah in about 25 minutes. 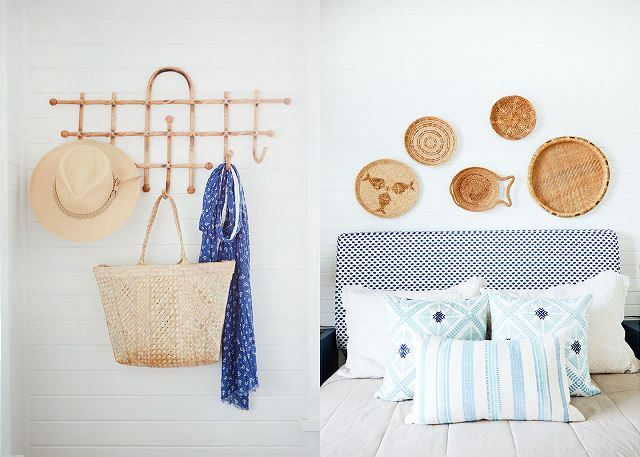 Might be a nice touch to have a couple of beach chairs to bring to beach and a shelf/shower caddy in shower. Minor things but would help. Great stay! Great vintage house, close to the ocean . Highly recommend. This was our first trip to Tybee Island and we will be back! We loved everything about this house and the Island. This house was almost perfect. The only thing I wish this house had was an outdoor shower to rinse off. Oh no!! It does have an outdoor shower and they is a full picture of it in the picture gallery on our website. So sorry you did not find it. 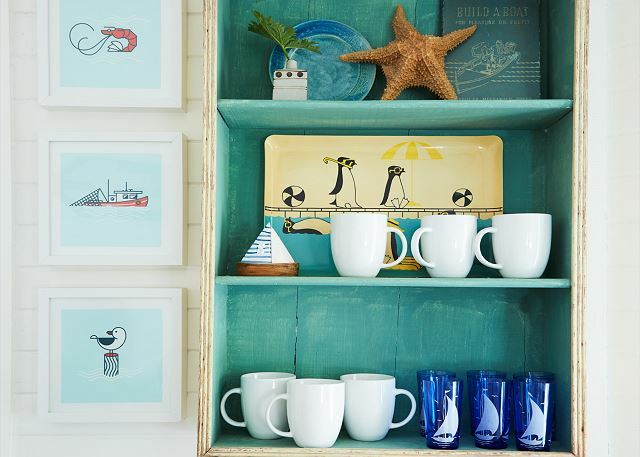 Sandpiper is our newest cottage to our Mermaid collection and so happy to hear you loved it and your Tybee time. Come see us again soon....your Mermaid family. Please note parking for 2 cars. Parking for 2 small or 1 large and 1 small vehicle.